You might be tired from all the partying and cleaning up afterwards. Instead of a fancy meal, let's start the year with a no fuss cooking recipe. How about an easy and hassle free baked chicken legs? 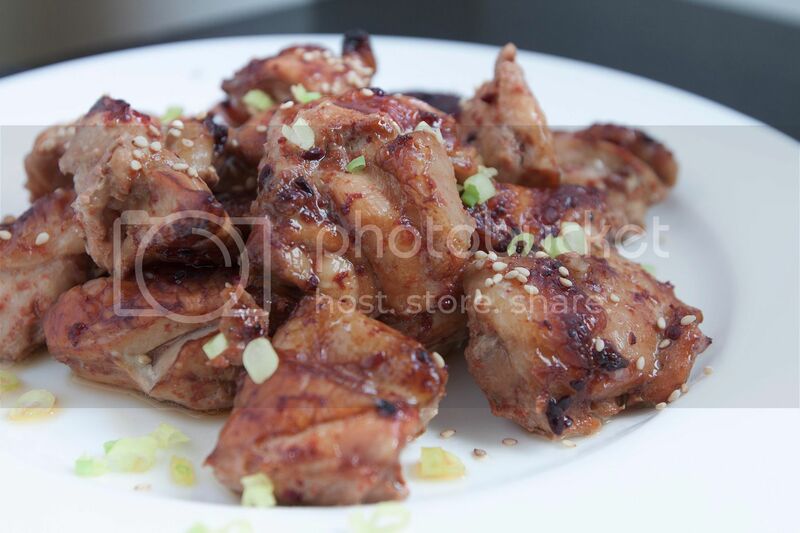 All you need to do is pull out some seasonings and marinate the chicken overnight. 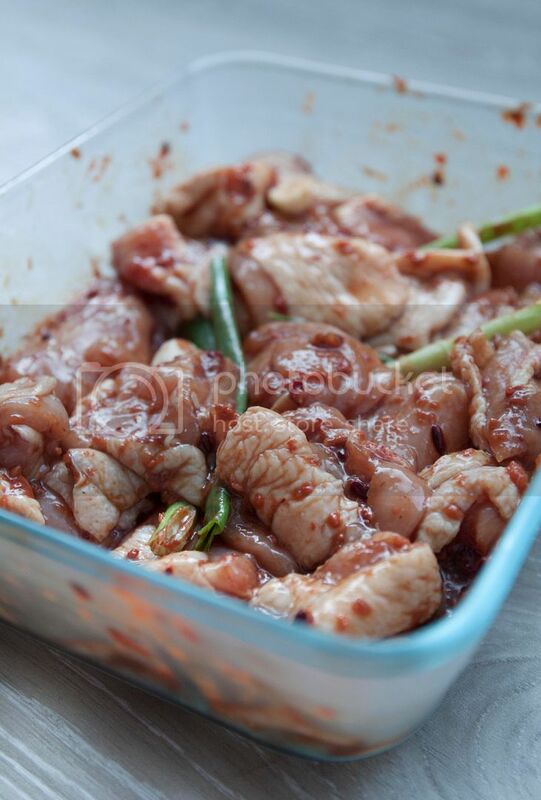 Simply pop the deboned chicken into the oven and you'll have a healthy yet flavorful main dish after 30 minutes. A few dashes of cumin powder should be enough. Its purpose is to add a light note instead of overtaking the red yeast rice aroma. 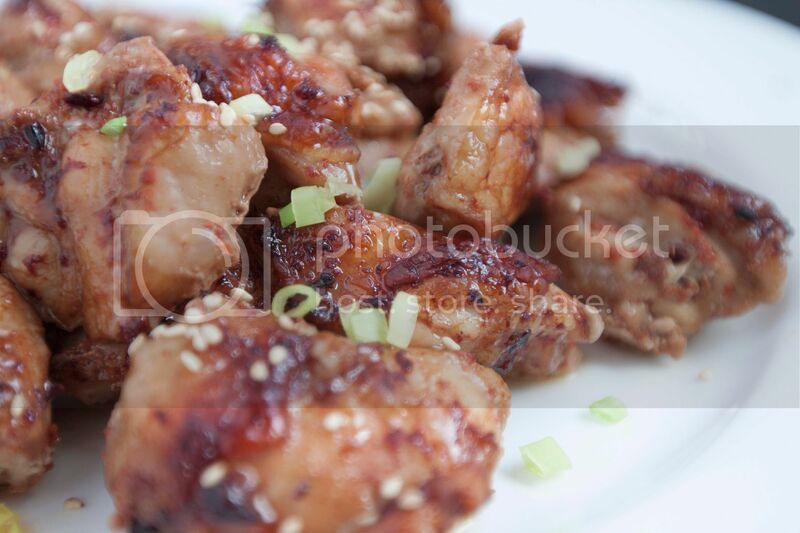 Preheat the oven to 350 degrees Fahrenheit and remove the marinated chicken from the fridge. Line a baking dish with aluminum foil for easy cleaning purpose. Pick out and discard the garlic and scallion pieces. 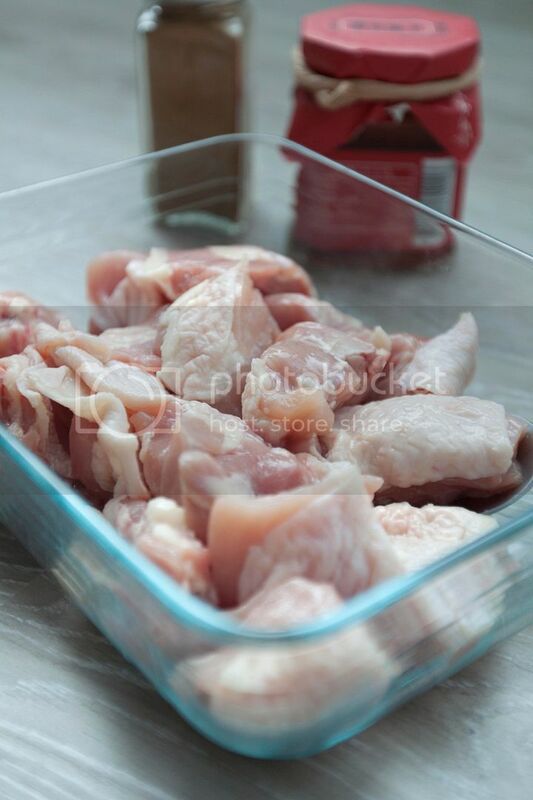 Transfer the chicken along with any leftover marinade into the baking dish. Bake for 30 minutes or till the skin turns browned but not burnt. Transfer the chicken onto a serving plate. 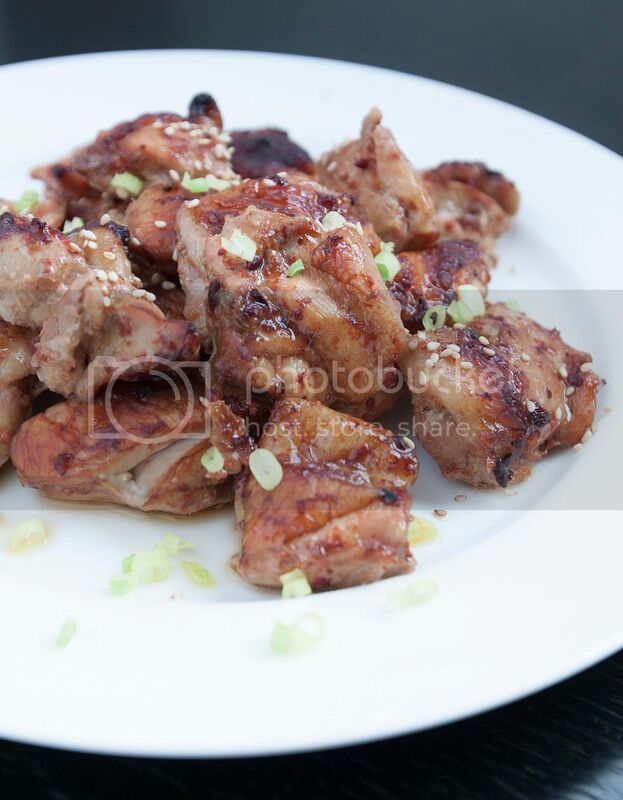 Drizzle leftover juice, if any, directly onto chicken but preferably onto the rice or noodles instead. Sprinkle some chopped scallion and toasted white sesame seeds before digging in. This baked chicken also holds well as a lunchbox/bento dish. You can also use it in salad paired with Asian flavored dressings.